Music is what feelings sound like, but sometimes the stock music player makes you feel bad. With the right music player on your smartphone, you will be able to explore the online music world and experience the most amazing music feeling, discovering trending music from all around the world. How to find the right music player that offers you all this? No worries, we searched and discovered one great music player app for finding and listening to music online. Let’s see what the app is all about. 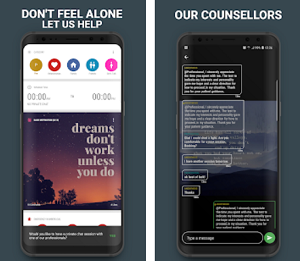 What is MeloDroid all about? The MeloDroid is one easy to use, useful and incredibly powerful third-party client that is powered by SoundCloud and its’ developed for Android users as an incredible online music player app which is allowing the users to find and listen to trending music from all around the world for free, easily and quickly. With the help of this app, the users have the chance to explore the music world and discover trending music within seconds, all available with a tap on the app, offered within this amazing powerful music player that will get the user’s music experience on the next level. 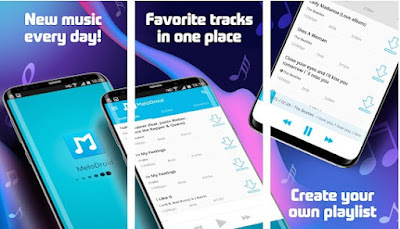 This online music player for Android is offering various features that will help the users better their music experience, find and listen to music online for free, without much effort. With this music player, the user is able to discover and listen to music and audio all offered inside one app, within seconds. Users can search for different genres of music like pop, trance, rock, rap, disco, blues, classical, jazz and many more genres available too. Every user on the app has the chance to explore the music world for free by preset genres, discovering trending music from the whole world. The favorite music and songs of the user can be managed easily without much effort and the user is also offered to manage his local playlist by preference. More than just free music online, this player is offering its users to find any song they like and play any song in the background when they please. 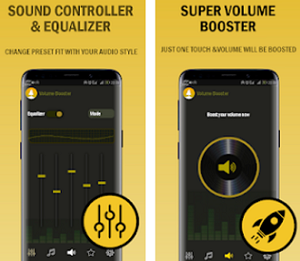 More than that, the app is offering users to discover even lyrics of songs they like and all features within this useful music player widget will allow the user to experience and explore the online music world, finding his favorite music instantly. Download it on Google Play for free to listen to free music and explore the trending music worldwide!